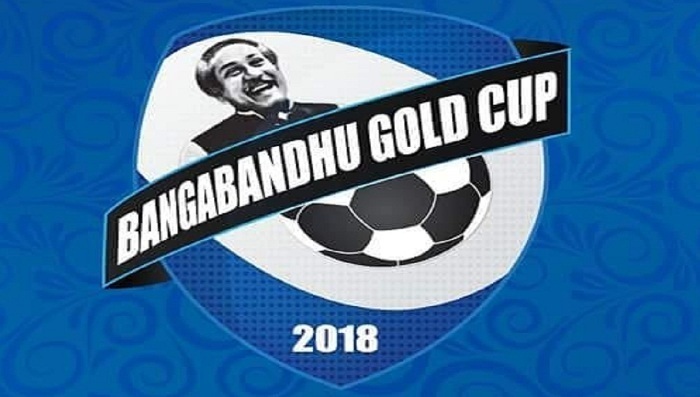 Palestine clinched Bangabandhu Gold Cup International Football championship 2018 by defeating Tajikstan 4-3 in tie-breaker at Bangabandhu National Stadium in Dhaka. The final match went into tie-breaker after both teams failed to score. The match kicked-off at 6:30 pm Bangladesh time on Friday. In the penalty shootout Zorrilla, Iwisat, Al Battat and Al Bahdari converted their shots correctly for Palestine to clinch the 5th edition title of the six-nation tournament. Abdugaforov, Nazarov and Asrorov were successful for Tajikistan while Tursunov and Davlatmir miss fired one shot each. Palestine reached the final eliminating hosts Bangladesh by 2-0 goals in the hard fought second semifinal at the Birshrestha Ruhul Amin Stadium in Cox's Bazar while Tajikistan made final berth eliminating the Philippines also by 2-0 goals in the first semifinal at the same venue. In the group stage, both Palestine and Philippines emerged their respective groups' champions with all-win records. Palestine defeated Tajikistan 2-0 and holders Nepal 1-0 goals in their Group 'A' encounters. Philippines beat Laos 3-1 and Bangladesh 1-0 in their Group 'B' matches. Roll of Honour: Malaysia [1996; 2015], Japan , Nepal  and Palestine .